Porphyrins, molecules with cyclic structures, have intense absorption bands in the visible region and can be strongly colored. The medicated porphyrins are the subject of R&D on photo-dynamic therapies because they strongly absorb the light which is then converted into energy and heat in the lit areas. 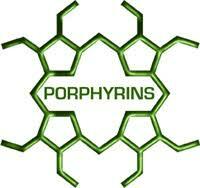 Download our comprehensive catalog of Porphyrins, Phthalocyanines and NIR pigments.